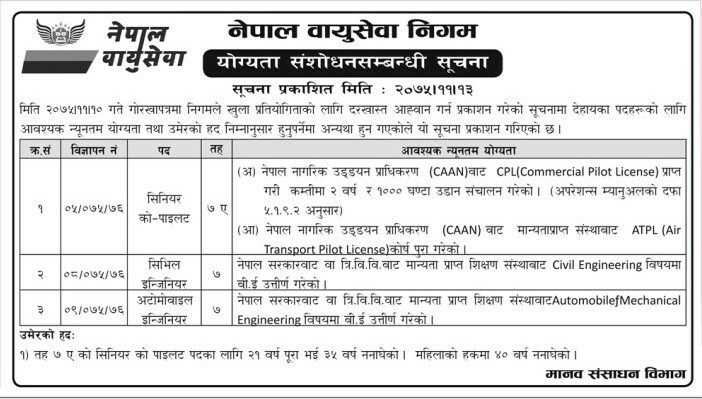 Nepal Airlines Corporation has amended the eligibility criteria for the position of Senior Co-Pilot, Civil Engineer and Automobile Engineer for the vacancy published on 10 Falgun. 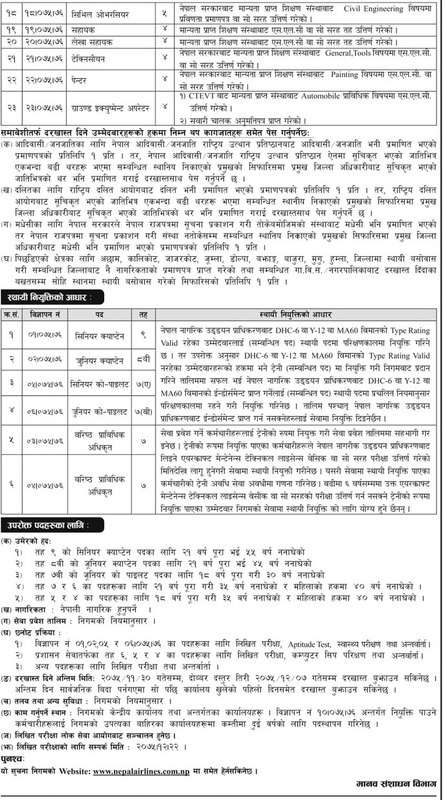 Nepal Airlines Corporation (NAC) was incorporated on 1 July 1958 through enactment of Nepal Airlines Corporation Act. 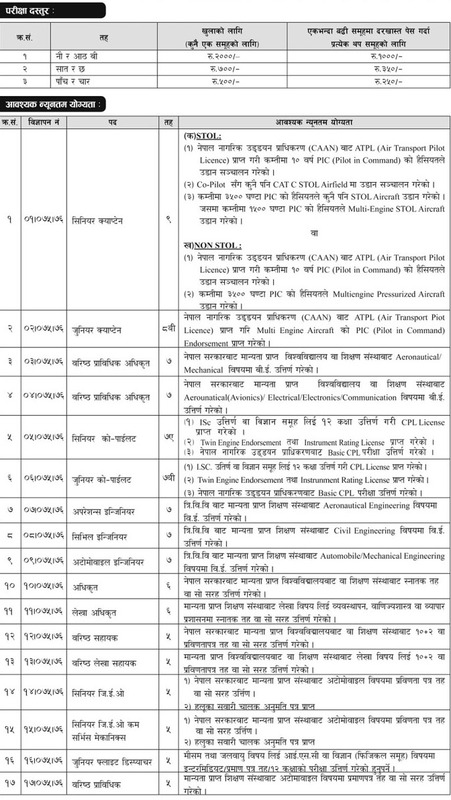 2019 with the following main objective to provide air transport service to any person, agency or organization who need such service for transportation of men or materials from one airport to another either within or outside the country. 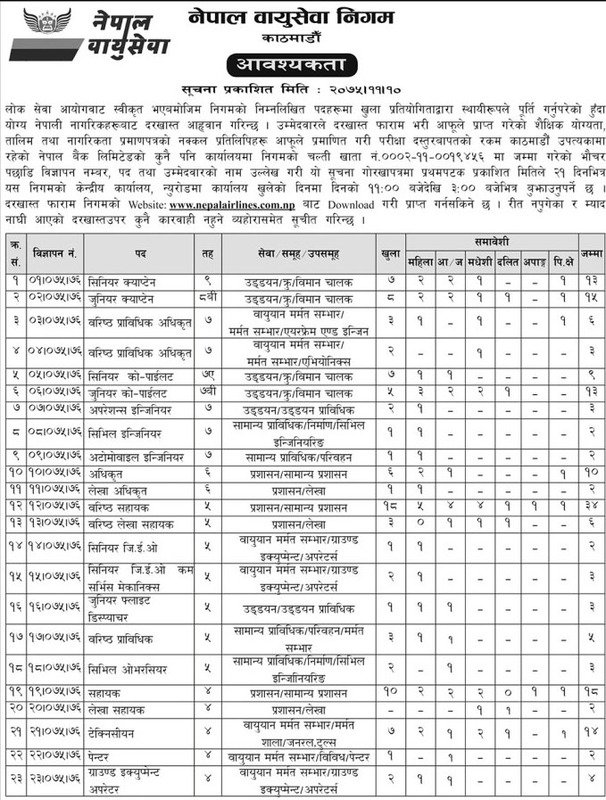 Nepal Airlines Corporation announces vacancy ( published on 22 Feb 2019, Gorkhapatra) for the various positions (open competition) in both open and inclusive categories.